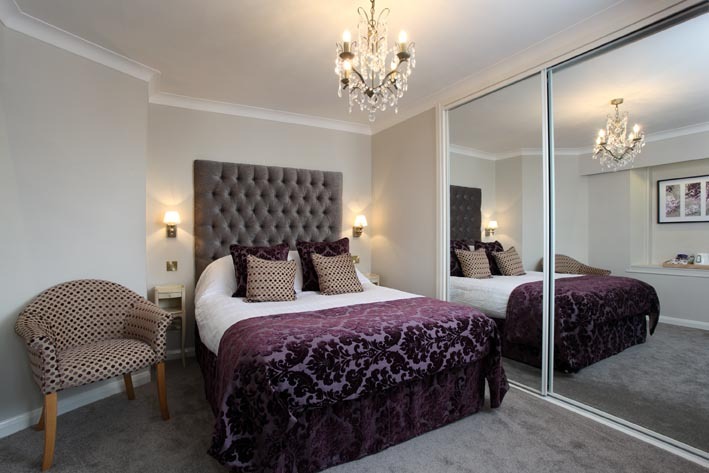 All our well-appointed king size double rooms have tea and coffee making facilities, quality luxury toiletries and TV with Freeview and radio channels. Free Wi-Fi is available in our public rooms. All our bedrooms and public areas are non-smoking. 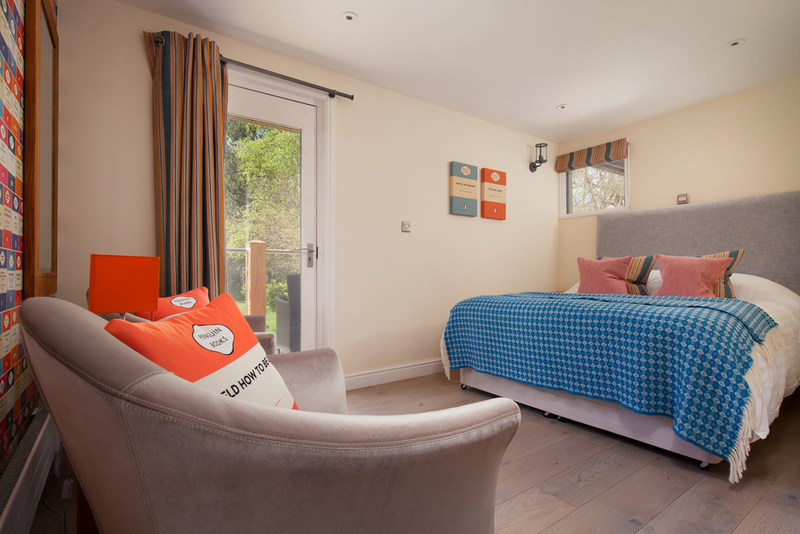 A super ground floor garden room that’s light and bright with direct access to the private patio and peaceful garden. 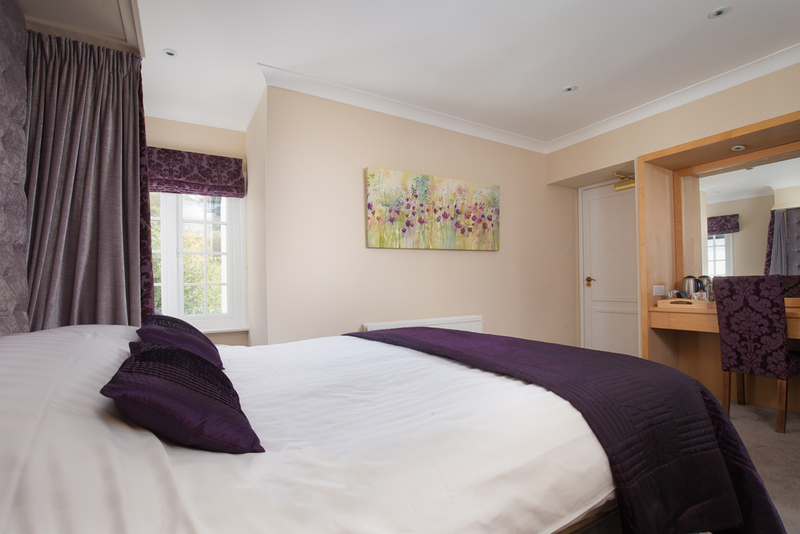 This room has an en-suite shower room and there’s a comfortable double bed and a small sofa. A really charming Standard Double room on the first floor with a corner window overlooking the Mill End garden. 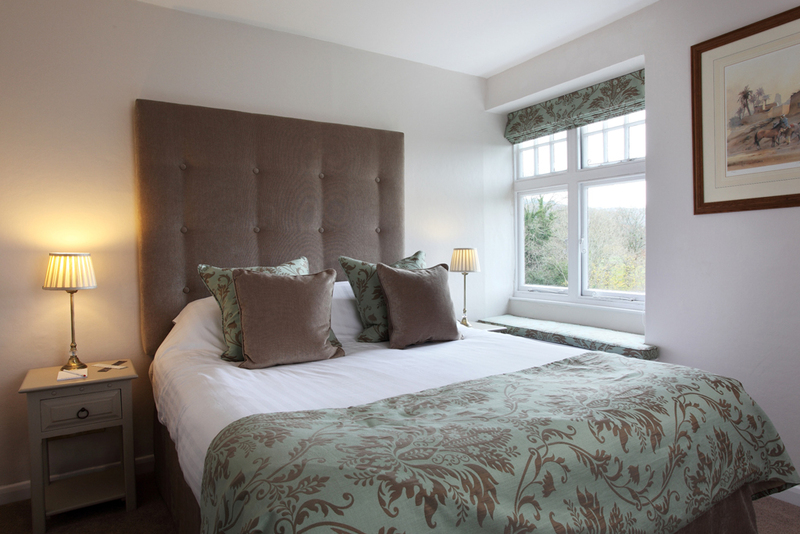 The room has a king double bed and a comfortable armchair by the corner window. The bathroom is spacious with a large bath fitted with a shower. 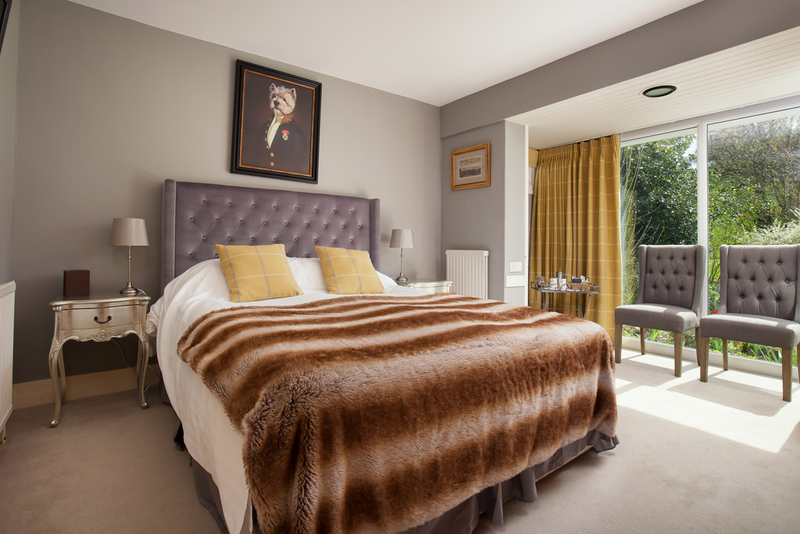 A lovely, peaceful room on the first floor with a view over our gardens and the countryside beyond. There is a luxury en-suite with full size bath and fitted shower. 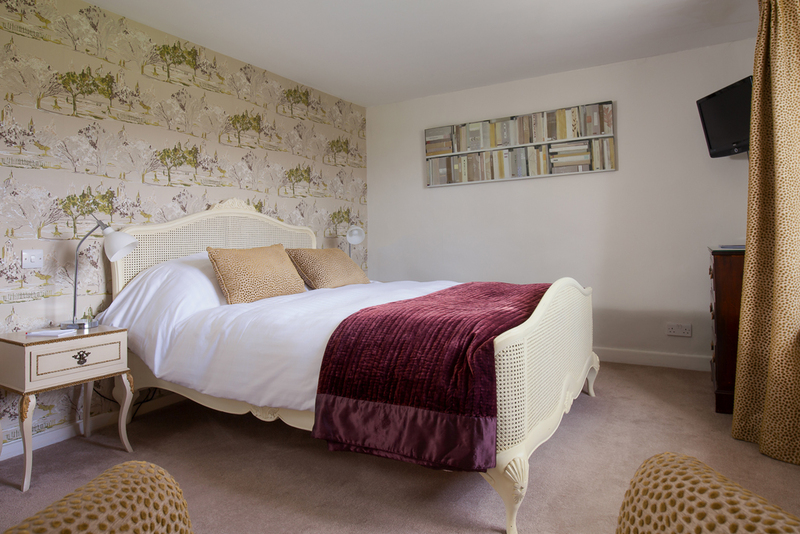 This is a really pleasant, cosy room, recently refurbished throughout on the second floor with views over the front garden. There are two steps that lead down to a luxurious bathroom that has a bath fitted with shower. 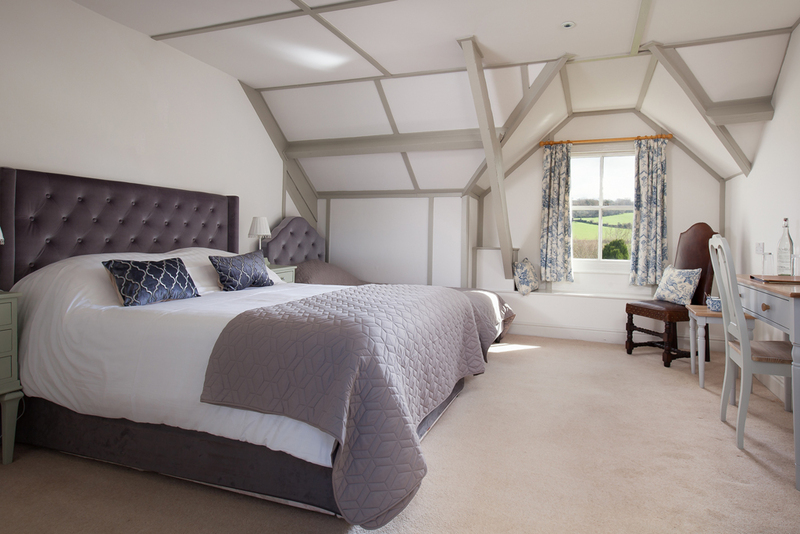 Our new ground floor room, Mardle has its own private deck overlooking the River and garden, and is situated in the Teign Wing adjacent to the main hotel. With walk-in shower and separate parking, this room is perfect for enjoying the peaceful scenery and direct access to the great outdoors. The wing is a small annexe accessible through the courtyard (less than 10m from the main hotel) but please note there are steps up to its entrance and into the main hotel building where our restaurant and reception are located. This 2nd floor king double has a balcony overlooking the stunning garden and river. 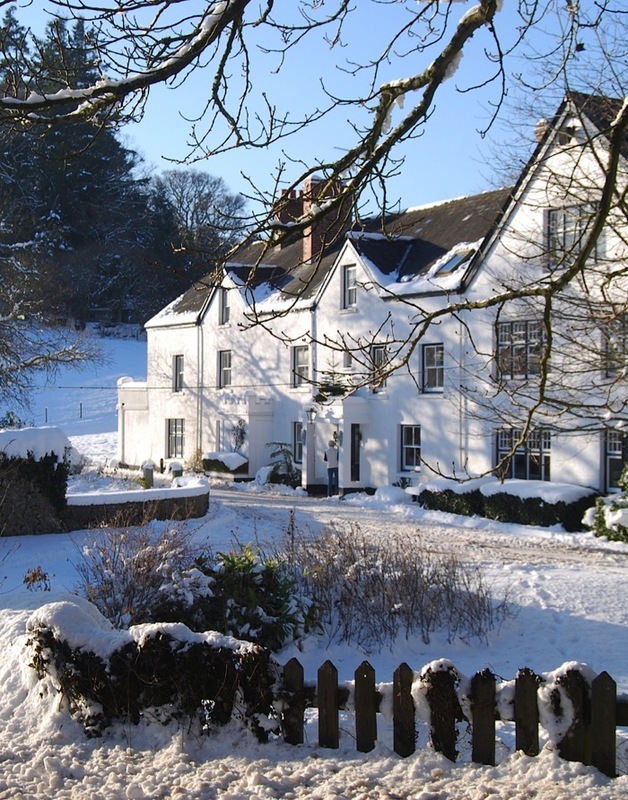 Located in the Teign wing which is accessed via our courtyard behind the main hotel (just 10 m away) there is a private parking space so you can come and go as you please. 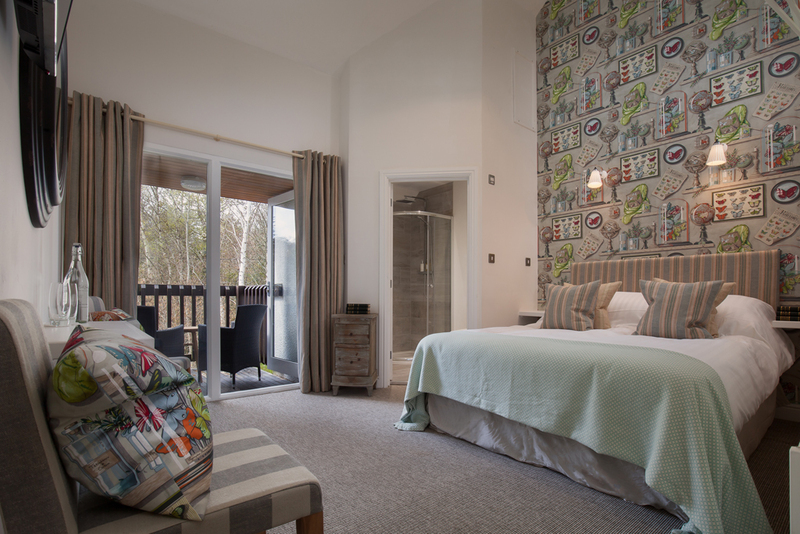 This room enjoys high ceilings and a separate bathroom with shower and the balcony catches the afternoon sun (sometimes! ).